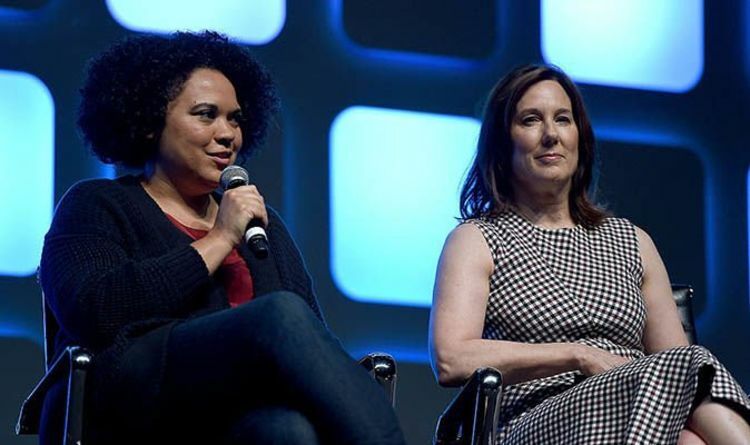 Celeb Gossip News – Star Wars 9: Lucasfilm DROPS Vice-President – Is this part of Last Jedi fan BACKLASH? Episode Backlash filmmaker Marc John contacted Express Online about a major change at Lucasfilm and Disney. While conducting routine research for his fan backlash documentary, John checked the Lucasfilm website at the end of January – and made a surprising discovery. Kiri Hart was suddenly nowhere to be found. Previously, right up until the end of 2018, Hart had been prominently featured on the site, in her role as Senior Vice President, Development. Hart has a producer credit on The Last Jedi and had been tipped to succeed current Lucasfilm President Kathleen Kennedy. She was also well known to be the Head of the powerful, highly influential Lucasfilm Story Group. Such a major change would usually be widely reported in industry and Hollywood press but has been largely ignored. Casual online searches, in fact, will bring up almost nothing. Some angry fans regard her as part of the perceived liberal agenda which, for them, is destroying the franchise. Others are now wondering why her departure has been so secretive. “Even more bizarrely, the many high profile news organisations who touted Hart as the future ruler of the Lucasfilm empire have remained completely silent about the whole situation. This is a massive news story and a serious moment in history, as far as Lucasfilm’s legacy is concerned. One Star Wars site, subtly called Disney Star Wars Is Dumb, reported on the story and screen-grabbed images from the days when Hart was removed from internet search engines over January 30 and 31. (SEE BELOW). Episode Backlash is an independent documentary which explores the worldwide fan backlash against Disney’s handling of the Star Wars saga. John has stressed that he seeks to hear as many different opinions and reactions from all parts of the Star Wars fandom and beyond.